Hello, I’m sharing a card that was recently published in a UK Craft Magazine, so maybe familiar to some of you. 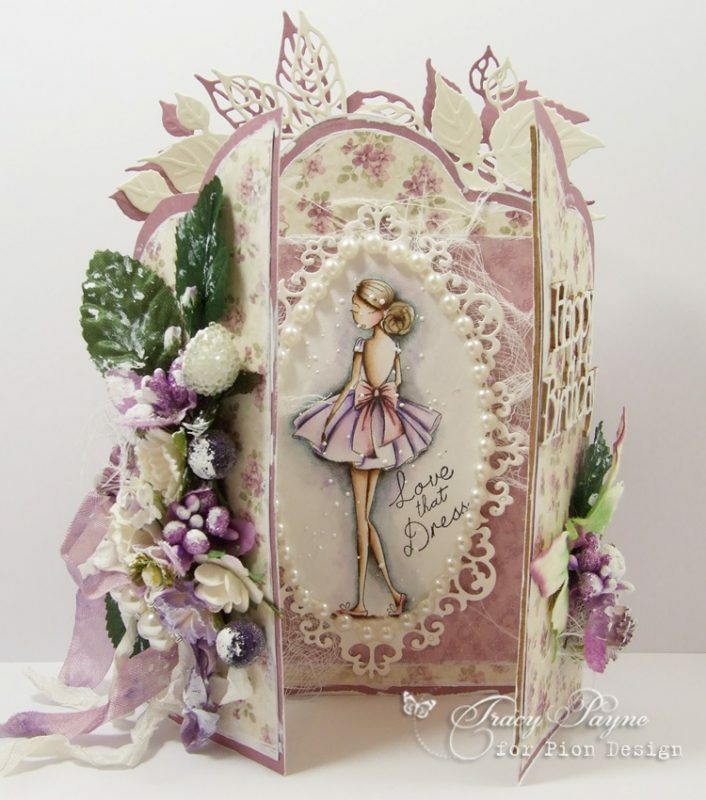 I used the Scent of Lavender collection and the Pion Design Palette for the base of the Triptech Card. I used the Pion Palette in White I and Purple IV for the die cuts. 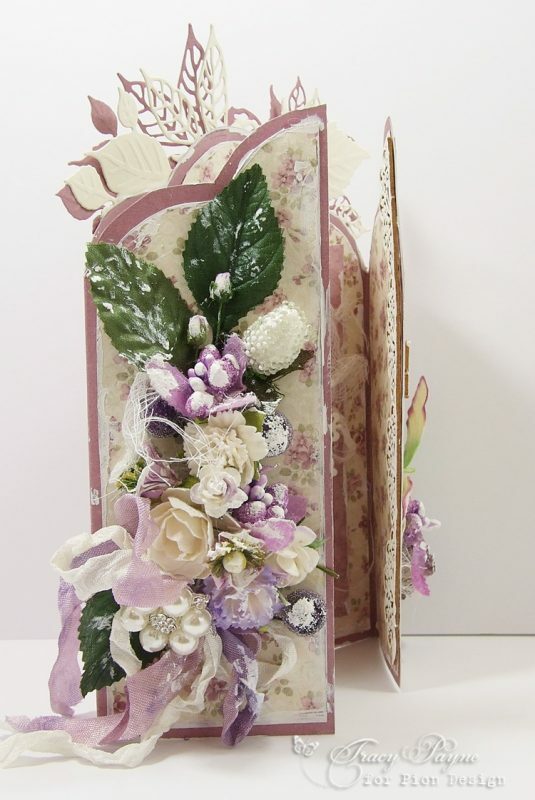 Lovely colors beautiful card !